We provide an experienced and professional service catering for small personalised tours to large multiple coach movements. 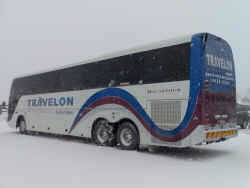 Travelon Coaches are a fully Accedited business with your comfort and safety our main priority. Our drivers are experienced and fully trained to provide our passengers with the highest level of personalised service available. rolex replika luggage facilities and PA system. 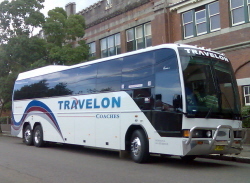 Our coaches are fitted with UHF radios for communication on multiple coach movements. Please feel free to contact us for a quote by visiting our Online Quote Page. No jobs are too small or too large. P.O. Box 65, Ingleburn, NSW, 2565.